for $394,900 with 4 bedrooms and 3 full baths. This 3,035 square foot home was built in 1982 on a lot size of 2.4000 Acre(s). 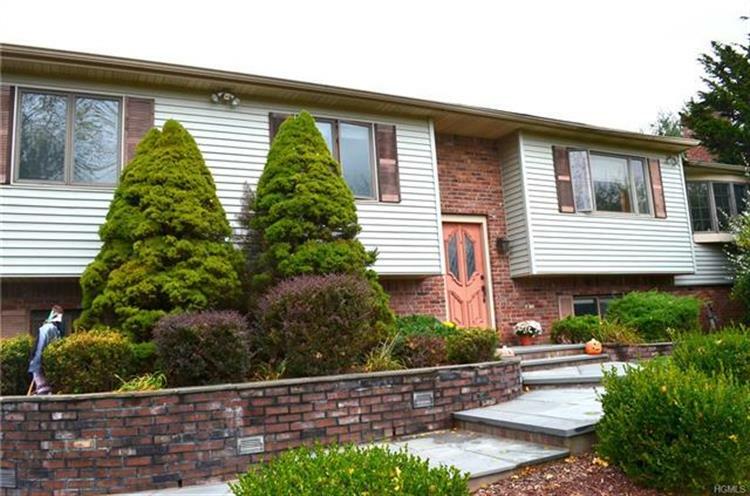 There is nothing typical about this bi-level in the sought after Monroe-Woodbury School District. Bring your creative eye to transform this large home into the home of your dreams. This home features 4 bedrooms, including a master with custom en-suite with jetted tub and spa shower along with 2 walk-in closets in the addition. Large eat-in kitchen with pantry, 3 full baths, living room, family room w/fireplace and formal dining room make this home ideal for entertaining. Located on 2.4 acres, this 3, 000+ sq. ft. home features outdoor living/entertaining space including a large custom deck, an in ground pool, and a cabana with a full bath. Taxes do not reflex STAR exemption. DON'T MISS THIS UNIQUE OPPORTUNITY.